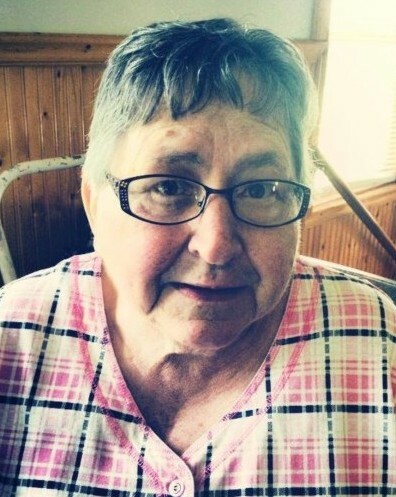 Sharon J. Sanders, 75, of Milford, passed away peacefully at home on April 1, 2019. She was born in Bridgeport, CT on December 11, 1943 to the late Harold and Thelma (Overland) Blake. Sharon enjoyed playing bingo and painting ceramics. She was a huge Elvis fan and loved to go watch the band Flashback play. She will be greatly missed. Sharon is survived by her children, Ronald (Lisa) Sanders, and Kenneth (Dawn) Sanders; her grandchildren, Amanda (David Klotzberger) Sanders, Nicole Sanders, Scott Knapp, Jessica (Austin) O’Brien; her great granddaughter, Adilyn Klotzberger; her sister, Lorraine (Chuck) Lichtenberger; her aunt, Christabel Overland; her nieces and nephews, Bret Lichtenberger, Susan Brundige, Sandra (Roger) Whitfield, Glen (Michele) Lichtenberger, Maureen (Carl) Richter, David Dixon; and many great nieces, great nephews, cousins and extended family members. In addition to her parents, Sharon was predeceased by her sister, Marjorie (Daniel) Dixon, her dog, Peanut, and her cat, Onyx. Family and friends may call on Monday, April 8, 2019 from 4 p.m. to 7 p.m. at the CODY-WHITE FUNERAL HOME, 107 N. Broad St., Milford, CT. Interment will be private.